Welding work has been improved and automated along welding technology advances but most beveling work before welding is still proceeded by gas cutting, a grinder or some hand-operated electrical tools. Such methods take much time, is a big strain to labors physically and also seriously reflect to the cost. Fukoku BCM Series succeeded to remove the noise and the vibration completely, improve shattering of dust and cutting powder and reduced labors workloads significantly. BCM Series works speedy in several times speed than the traditional way. In addition to mild steel plate, various materials which are utilized for welding structures as stainless steel, high-tensile steel, aluminum or titanium are possible to be beveled. BCM new model is now released! It has been developed to meet the market demand in recent plant site, shipyard, building material manufacturer or iron&steel work industry to bevel the plate of its thickness in 32 – 40mm. 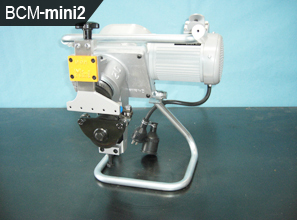 BCM-mini2 is designed portable and lightweight so it can work by self-running without the caster. A big steel plate also can be beveled easily. Adaptable plate thickness is approximately 6～10mm. 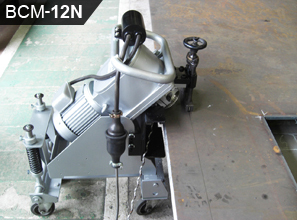 BCM-12N is a medium size in BCM Series. Adaptable plate thickness is 6～12mm. 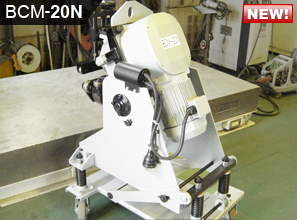 It can be equipped the caster to bevel long plate by self-running. 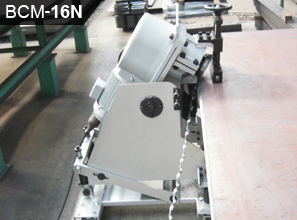 BCM-16N is developed to bevel 6～22mm. It can be equipped the caster to bevel long plate.